For those who still need proof that great teachers matter, the NYTimes has an excellent piece today by the economics columnist David Leonhardt about an “explosive” new study showing great kindergarten teachers have huge effects on future success and well-being. Leonhardt quotes one economist as estimating that a top-notch kindergarten teacher is worth $320,000 per year. Early development matters. Parenting matters. Schools and teachers matter. Economics Nobelist James Heckman has found that the earlier one pursues efforts at remediation with underperforming students the more effective the interventions are. And studies have indicated that while the academic knowledge gained from remediation programmes tends to fade, social knowledge is more durable (and it may well be more important over the long-term). In general, it seems like the importance of educational reforms at the secondary and undergraduate level is wildly overstated, while the importance of improvements in education at the primary level (and earlier) is given far too little attention. * Standout kindergarten teacher isn’t terribly specific — of the teachers in the survey, how many would be considered standouts? The study tracked 12,000students . Roughly speaking, let’s say this amounts to 600 classrooms and 600 teachers. Were there 100 standouts? Or 10? I’d love to see the curve. Highlighting the standout teachers might give us a misleading picture of the scale of the challenge. * How much is a standout parent worth? Some children wil generate a great deal of tax revenue over a lifetime. Should we, in light of this fact, give more generous tax subsidies to parents with the characteristics the best predict high future earnings for their offspring? I imagine the answer is no — this would strike most observers as unacceptably illiberal. But improving incentives for parents, as Robert Stein and Ramesh Ponnuru have recommended, seems like a pretty good idea. We would be better off if we paid our teachers a lot more, and attracted more of the best and the brightest to this profession. Note that while Leonhardt suggests we pay our best teachers more, Brynjolfsson suggests that we pay all teachers a lot more. But again, how many teachers were standouts? And were the standouts drawn to the profession for the cash compensation? One can imagine compensating teachers by giving them more autonomy and flexibility, or by limiting the number of disruptive students. Rather than offer blanket pronouncements on how much teachers ought to be paid, we need to give more thought to allowing more business model innovation in the education sector. As new compensation schemes emerge, we’ll eventually learn more about what works and what does not. Where does the amount $320,000 come from? It’s “the present value of the additional money that a full class of students can expect to earn over their careers.” And that’s not counting the social and psychological values that may flow from excellent early schooling. But salaries aren’t calculated by the actual benefit the employee bestows on the clients. If it did, there would be some negative numbers. But what if kindergarten teachers were very highly paid? 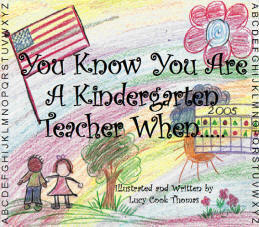 Different individuals would pick kindergarten teaching for a career…. In fact, it seems a bit hard to believe. If kindergarten teachers matter as much as this new research suggests, then you would think that parents would have a large influence on their kids’ adult outcomes. After all, you spend a lot more time with your parents than in your kindergarten class. But much research in behavioral genetics finds very little evidence for significant parental effects. (See Judith Harris’s The Nurture Assumption.) So I am puzzled. All this emanating from a dense academic article that hasn’t been published or peer reviewed. At this stage, there isn’t even a working paper detailing how the results were arrived at: just a set of slides. Why is this important? Because economics is a disputatious subject, and surprising empirical findings invariably get challenged by rival groups of researchers. The authors of the paper include two rising stars of the economics profession—Berkeley’s Emmanuel Saez and Harvard’s Raj Chetty—both of whom have reputations for careful and rigorous work. However, many other smart researchers have had their findings overturned. That is how science proceeds. Somebody says something surprising, and others in the field try to knock it down. Sometimes they succeed; sometimes they don’t. Until that Darwinian process is completed, which won’t be for another couple of years, at least, the new findings should be regarded as provisional. A second point, which is related to the first, concerns methodology. In coming up with the $320,000 a year figure for the effects that kindergarten teachers have on adult earnings, the authors make use of complicated statistical techniques, including something called a “jack knife regression.” Such methods are perfectly legitimate and are now used widely in economics, but their application often adds an additional layer of ambiguity to the findings they generate. Is this particular statistical method appropriate for the task at hand? Do other methods generate different results? These are the sorts of question that other researchers will be pursuing. From the perspective of someone whose statistical education didn’t extend much beyond rudimentary probability and econometrics, a few things struck me about the evidence that is presented in the slides. The study confirms that smaller classes have a significant impact on test scores, which was the primary conclusion of the original Tennessee study. And the correlation between kindergarten test scores and later life outcomes—not just earnings, but also home-ownership values, and even death rates—seems to be pretty robust. (See Figures 3a to 3f.) However, the relationship between test scores and earnings doesn’t necessarily have much to do with the quality of teaching. It could simply reflect students’ innate ability, the impact of other students in the class, or other unknown factors. The researchers try to control for some of these factors, but they can’t rule them out. In arguing that individual teachers play an important role, they rely on evidence that is somewhat indirect, which is inevitable because the Tennessee experiment wasn’t set up to study the impact of teacher quality: quite the contrary. It was designed to gauge the impact of smaller class sizes regardless of who the teacher was. Unlike their students, the kindergarten teachers didn’t get graded; consequently, the new team of researchers didn’t have any data on whether specific teachers were good or bad. They were forced to rely on student test outcomes as an indicator of teaching quality. Effectively, they assumed that if a given a kindergarten class achieved outstanding results its teacher must have been responsible. In many cases, this may well have been true, but we have to take it largely on trust.